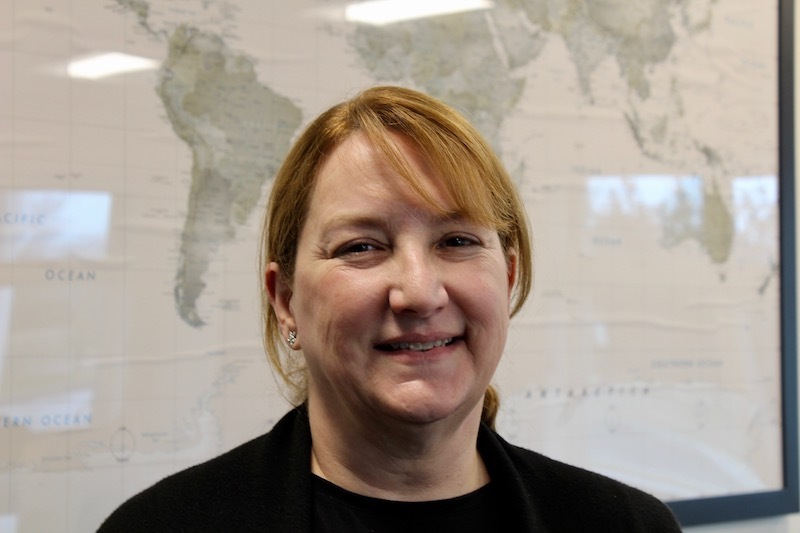 Cindi Martin is the new director for the Martha's Vineyard Airport. Commissioners voted 4-2 Monday to offer the airport director job to Cindi Martin, the former head of a regional airport in Montana. At press time Thursday, commission chairman Robert Rosenbaum said a contract and possible start date were still being negotiated. Ms. Martin is the former director of Glacier Park International Airport, a small seasonal airport located in Kalispell, Mont. She retired in 2016 after 10 years on the job, and since then has worked as a contractor for the American Association of Airport Executives. If she accepts the job, she will replace airport director Ann Richart, who leaves May 5 to take a position as director of aviation for the state of Nebraska. The vote by commissioners came at a meeting that saw fireworks at the end when airport commissioner Clarence A. (Trip) Barnes 3rd abruptly resigned and left the meeting. “I’ve been here awhile and can’t seem to make any kind of meaningful contribution. It’s been fun working with you and I wish we could have gotten more done,” Mr. Barnes said. turned in his resignation to the county commission last Thursday. “Though I feel I have contributed a lot in my five years on the airport commission, my efforts now and going forward have been compromised by the lack of transparency and oversight by the current chairman and his vice chairman,” he wrote in an email to county manager Martina Thornton. “The last two years of asking questions about the state of airport finances and getting no answers from the finance committee . . . have been disappointing to say the least. Being told that what’s going on is not commission business goes against the state law that enables the commission.” The county commission is the appointing authority for the airport commission. Mr. Barnes, who was one of two commissioners who had instead wanted to hire assistant airport director Geoffrey Freeman, said he resigned in protest over the job offer to Ms. Martin. He said the decision to not hire Mr. Freeman was the last straw for him after long feeling ignored by commission leadership. On Monday candidate interviews ran from morning until mid-afternoon. In addition to Ms. Martin and Mr. Freeman, Jemille Charlton, a former airport director from East Hampton, N.Y., and Jonathan Vrabel, a former airport executive from Lansing, Mich., were also interviewed. The four finalists had been selected by New York-based ADK Executive Search, which assisted with the search. Following interviews, airport commissioners ranked their favorites by secret ballot at a public meeting preceding an executive session. Four commissioners ranked Ms. Martin highest while two ranked Mr. Freeman as their top choice. Meanwhile, the airport commission is now down from seven to five members. Mr. Rosenbaum said both resignations were unexpected, but he downplayed the timing and Mr. Michelson’s concerns. As for Mr. Barnes, Mr. Rosenbaum said he had been honored to work with him, despite their disagreements over the future of the airport. “He’s an institution here on the Island,” he said. “Trip was a great asset . . . but he decided he wasn’t being effective.” Despite the resignations, Mr. Rosenbaum said the commission is in good shape and he looks forward to working with new members when they are appointed by the county commission. Fellow commissioners agreed and said the two resignations, while unfortunate, are not an indication of a larger problem. I hope she is not surprised by housing costs. Here we go again with another hire to an important job and let's see how long this one will stay. Housing cost will come up and other reasons and why it is not a good fit. I hope she knows about the island issues. I would hold back some pay and give as a bonus after the second year. Because hiring an Islander worked so well in the past. The airport was almost decertified for numerous safety violations, we had a very expensive HR complaint, and then the guy disappeared in August after getting a rich extension. Let's not do that again! Its not fair to judge all islanders based upon the shortcomings of a prior hire that happened to be an islander. All of these off-island hires seem to hang around for a few years, pad their resume, and move on. Most have made positive contributions as well. But since the airport is now 'back on track' its not fair to discriminate against local talent. So the current group of Commissioners chose to create a scenario at the Airport that took power away from competent management and placed it with themselves for their own benefit and you believe that the Airport was really going to be decertified? All of the FAA violations have repeated themselves multiple times since then but they choose not reveal that to their own detriment. Every town on this island has, many times, had their insurance companies pay out for employees making claims, false or otherwise, and you call think that significant? I would love to know why the Airport Commission let the Airport Manager leave in August, what was he about to reveal that the Airport Commission would pay that much? The Airport needs competent independent management and that begins with a group of Airport Commissioners that actually know what they are doing and that do not take these positions because they are pilots looking for a benefit or retired looking to fill some time. The Airport is far from being “back on track” it is by far in the worsted shape in its history. The Airport is paying its legal team gobs of money to keep the truth hidden, far more then when this current group of Commissioners seized control of the Airport and complained vigorously about legal expenses. They are concurrently paying a public relations firm large amounts to ensure that their image is protected!!! It is so easy to see when employees, Airport Commissioners or beneficiaries of the current dynasty author comments. Hold back pay? Really? When cost of living is an issue here? Silly idea. Why not help with housing since it's glaringly an issue? This island's need to punish never ceases to amaze me. Your article did not mention that Ms. Martin retired as director of Glacier Park international Airport on August 31, 2016. What has she been doing in the interim? Does she see the Martha’s Vineyard job as a brief gig before full retirement? Wow, Really? And they offered a job to someone that has not acted in that capacity for 3 years when they have someone that truly could work out. He has housing, knows the Airport and it's infrastructure and idiosyncrasies. What is the matter with the board, this is absurd. Why wouldn't we appoint someone we know has the determination, demeanor and loyalty to stick it out. No wonder Trip flipped. If this was done on April 15th a legal State holiday I question the validity of the meeting and hiring. It may also affect the resignation of Trip Barnes. Mr Rosenbaum would rather sit while Rome burned and do nothing for over a year. While no one had oversight of finances at the airport. Which is exactly what happened while he was both finance chairman and mvac chairman. I wanted oversight of management when and where it was necessary as proved by a 20,000 + report confirmed what was already known. Or should have been known by Rosenbaum and his finance committee a least a year before the report. It’s airport commissions job to provide oversight when needed. Rosenbaum disagreed even though that’s what mass law says. As a regular visitor to Oak Bluffs visiting family, we follow the goings-on at KMVY, not only because we fly into the airport, but because I serve the Town of Leesburg as the Chair of their Airport Commission....... where Ms. Martin served ably and effectively as our Airport Manager once as a temporary fill in, and then for several years as the permanent director, until she was recruited away to Montana. She was (and still is) a top-notch professional, a consensus-builder, and has a greater capability to get folks to talk to each other than any government person I've ever worked with. I've known her for darn near 20 years and I will tell you that getting Cindi to sign on is a huge gain for Dukes County and the 6 towns. Obviously the local candidate had support, and well-deserved at that. Now that the Commission has voted, I have complete confidence that Ms. Martin is the right person to build bridges amongst the staff, work amicably with the Commission, and move the airport forward. Well written comments. Unfortunately, Islanders have a tendency to eat their own and grouse about every decision.